ALL OF OUR VEHICLES COME WITH A COMPLIMENTARY 30 DAY/1000 MILE POWERTRAIN WARRANTY Dual Heated Seats, , Power Windows, Power Locks, Backup Camera, Tilt, Cruise Control, Bluetooth and more. We offer the Premium Quality Pre-owned Vehicles at Highly Competitive Prices with Friendly Financing options, making ApexCars.net the preferred dealer for smart shoppers in Fremont, CA. Whether you are a first time buyer, military serviceman, college student, with no license or with no credit but wanting a low monthly payment on your vehicle, we are here to help! 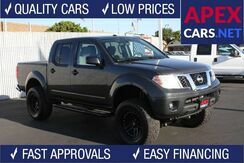 ApexCars.Net has been providing local car owners with High Quality cars at Highly Competitive Prices for over 20 years! Let Trusted Name of ApexCars.Net help you with your car shopping. Contact us today. 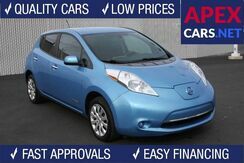 This 2013 *Nissan* *LEAF* *S* has been discounted and is on Sale! GREAT COMMUTER CAR - EXCELLENT FUEL ECONOMY - WE FINANCE - ALL OF OUR VEHICLES COME WITH A COMPLIMENTARY 30 DAY/1000 MILE POWERTRAIN WARRANTY Price Excludes Dealer Installed Options **S**, Tilt, Bluetooth, New Front Brakes with Rotors. 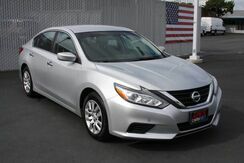 *Sample Payment based on 5.9% APR for 72 mo with $1599 down. See the full disclaimer below. Carfax **1 Owner**, **S**, Power Windows, Power Locks, Quad Seating, 7-Passenger, Dual Sliding Doors, Keyless Entry/Start, New Engine Mount, New Rear Brakes and more. 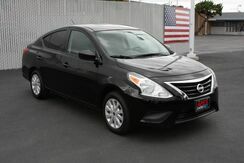 Displayed monthly payment is an example only and based on 5.99% APR with 72 monthly payments of $16.57 per $1,000 borrowed. Your actual APR, down payment and other payment options will be determined when a credit decision is made and may be substantially lower or higher depending on vehicle being financed, credit worthiness and other factors. Financial institutions may not be able to finance older production year vehicles and vehicles with high mileage. 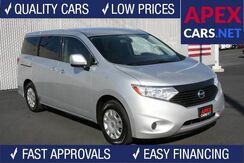 This 2015 *Nissan* *Quest* *S* has been discounted and is on Sale! ALL OF OUR VEHICLES COME WITH A COMPLIMENTARY 30 DAY/1000 MILE POWERTRAIN WARRANTY Price Excludes Dealer Installed Options **King Cab**, Backup Camera, Bluetooth, and more. *Sample Payment based on 5.9% APR for 72 mo with $2259 down. See the full disclaimer below. 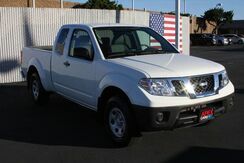 Carfax **1 Owner**, **V6**, **Crew Cab**, **4WD/4X4**, Bluetooth, Tilt, Cruise Control, Towing, And More. 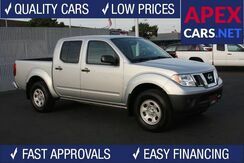 This 2017 *Nissan* *Frontier* *S Crew Cab 4x4* has been discounted and is on Sale! *Sample Payment based on 5.9% APR for 72 mo with $2499 down. See the full disclaimer below. 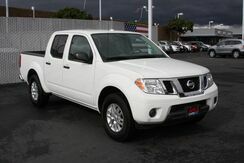 This 2014 *Nissan* *Frontier* *SV Crew Cab 4x4* has been discounted and is on Sale! All vehicles are subject to availability and prior sale. All prices and monthly payments do not include government fees and taxes, any finance charges, any dealer document processing charge, any electronic filing charge and any emission testing charge. Dealer document processing charge is $85. Displayed monthly payments are samples only. Actual APR, down payment and other payment options will be determined when a credit decision is made and may be substantially lower or higher depending on vehicle being financed, credit worthiness and other factors. Financial institutions may not be able to finance some vehicles. All pricing and details are believed to be accurate, but we do not warrant or guarantee such accuracy. The prices shown above, may vary from region to region, as will incentives, and are subject to change. Vehicle information is based off standard equipment and may vary from vehicle to vehicle. Displayed photos can be stock photos and may not represent actual vehicle. While every reasonable effort is made to ensure the accuracy of this information, we are not responsible for any errors or omissions contained on these pages. Please verify any information in question by contacting us.